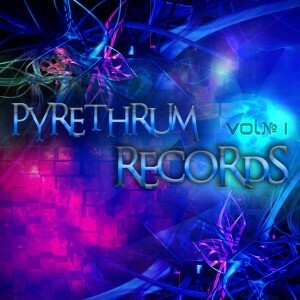 Pyrethrum Records Vol. 1 is the first release from Pyrethrum Records, a new alliance of Mexican and Israeli psytrance producers founded by Silent Witch (Juliett Popova) and ManiaK (Jorge Fuentes). Their principle objective is to promote new talents that will become the next generation of psychedelic music producers all around the world. Expect to hear gorgeous morning leads, powerful bass lines, and aggressive rhythms throughout the voyage. MP3 Download | FLAC Download | WAV Download · Download count: 10,787. Great stuff… Thx again to all involved… BOM! Great great up, 5/5. Just the kind of trance I like. Big Thanks to Ektoplazm for supporting ! realy awesome!! best compilation iv heard in a while.. full of energy …love it. Track 3, 5, 7, 8 and 9 made my morning so wonderfull. Thanks to all. for download our first v/a, good vibes from Cd juarez Mex..
sweet album, amazing sounds by talpa, so brilliant. Great Release!!! Beepsy Super TRax!!! old school melodic psy trance. just for this album i will donate you another 10$!!! and i hope that there will be not too much time untill volume 2 comes out! love this sound! reminds me at goa from 1996! very appealing! it’s a kind of sound that i’ve been looking for a long time! So cool to hear talpa in his development. Even his more recent stuff manages to stay original like the track in this album.